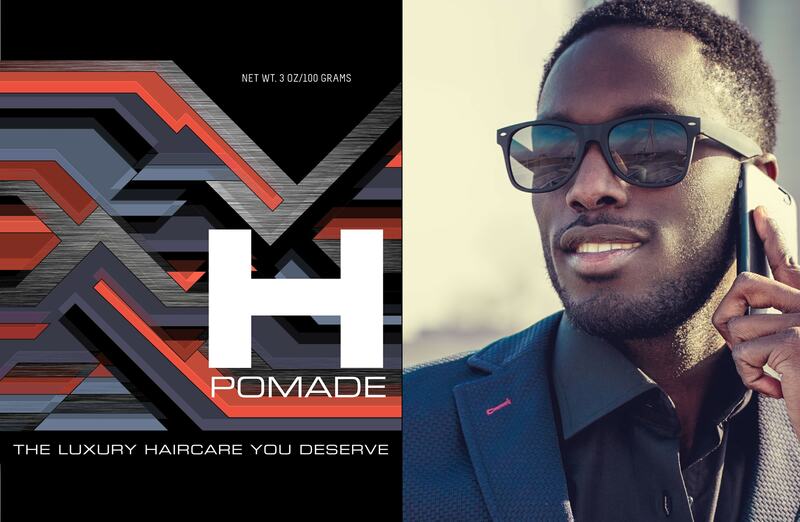 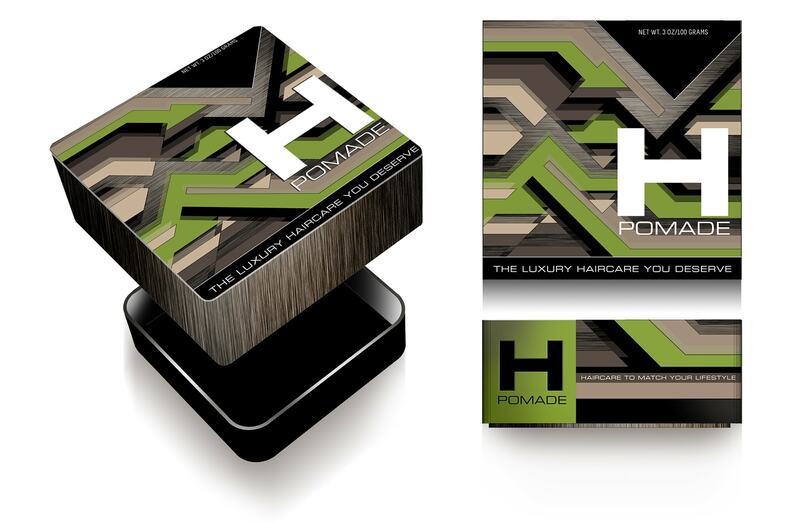 Prototype retail packaging for H Pomade a high end luxury haircare line catering to the male African-American market. 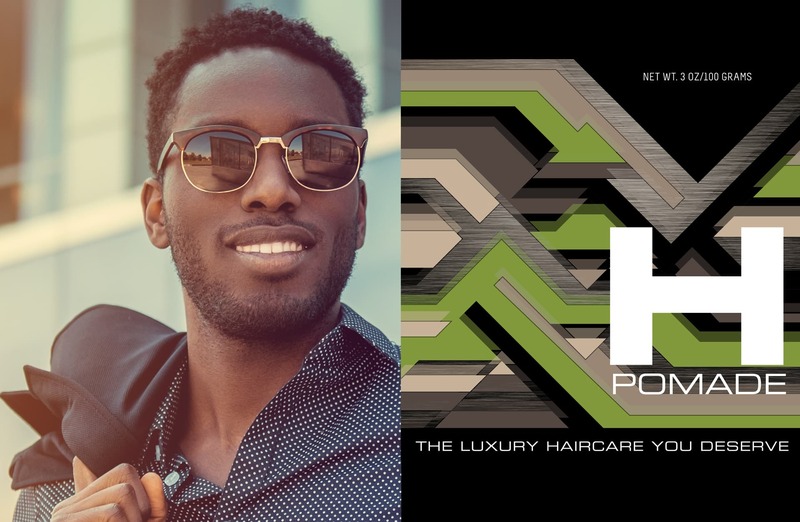 The visual concept focuses on an overall luxe aesthetic with layered graphic elements in tones of olive green, taupe, plum, sienna and shades of gray. 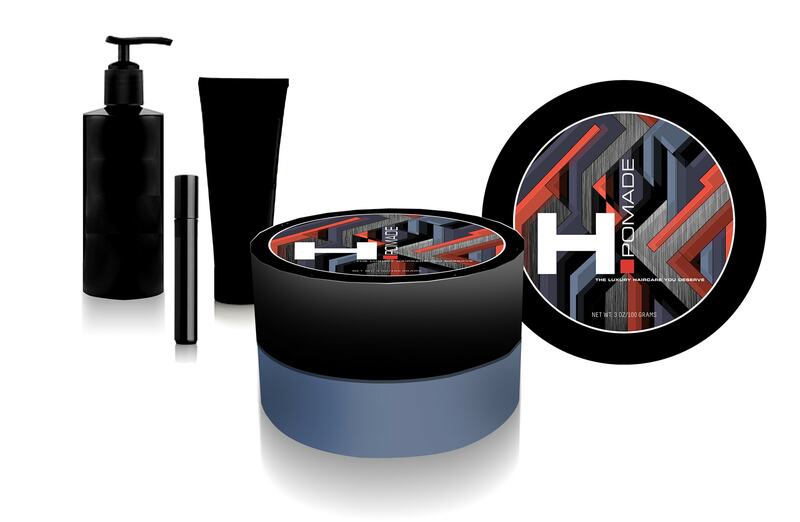 The prominent “H” typography provides easy visual recognition and the ability to stand out from competitor’s products.